Here, we’ll be comparing the “basic” models of the 2017 Kia Sportage and Ford Escape SUVs, the Sportage LX FWD and the Escape S FWD. As in our other model comparisons, remember to consider the entire package of features of both vehicles; a single feature, no matter how functional or luxurious, won’t create nearly as impactive an owner experience as the combination of all a model’s features. On the surface, these two vehicles have similar characteristics. The primary differences will be which features are standard or offered at additional cost, the quality of the materials and workmanship and the extent to which the manufacturer stands behind their product. In this comparison, we’ll point out the standard features of each vehicle and in the chart below, we’ll outline the standard and optional features that are offered. The 2017 Kia Sportage is an urban-friendly compact SUV. Kia offers a number of luxury options, beyond those standardly included on the LX FWD, but even this base model Sportage comes well-equipped with body-color bumpers, tinted windows and alloy wheels, to give it a sporty look. Kia offers 8 different color schemes; 6 of those are available for the LX FWD, 5 of which are metallic. The Sportage’s body styling hasn’t changed greatly since their 2011 redesign, with the exception of some minor trim and molding changes. 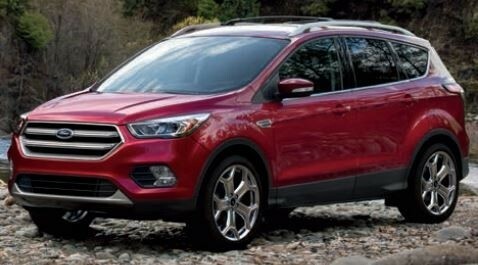 Also a compact crossover SUV, the general external appearance of the Ford Escape has changed very little since a complete redesign for the 2013 model. Ford offers 9 different paint schemes, 7 of those available on the S model (5 are metallic). Like the Sportage LX, the Escape S features body-color bumpers and tinted glass. The Escape is an attractive vehicle, similar in its lines to the Sportage, with a slightly sporty appearance. Some variations in trim further enhance its look on other models. With seating for 5, the interior of the Sportage LX is ample, although it provides about 3-1/2 cu.ft less cargo space than the Escape S. This is partly because of the Sportage’s slightly greater second row leg room. Standard bucket seats, with cloth upholstery, steering wheel controls and 60/40 split-folding rear seats add to its comfort and convenience. The driver’s seat is 6-way manually adjustable, while the passenger seat provides 4-way manual adjustment. Air conditioning is standard equipment, with dual-zone automatic temperature controls available on upgraded models. The Escape doesn’t offer quite as many standard or optional features as the Sportage. However, it does offer wireless cell hookup as a standard feature, whereas that’s an option on the Sportage. Onboard hands-free communication, which is unavailable on the baseline Sportage, is also standard on the Escape. Several comfort options which are standardly offered on the Sportage are unavailable add-ons for the Escape. The Sportage LX doesn’t offer a large array of trim options which are available on the upgraded models. It does, however, come with 17” alloy wheels and a rear spoiler. The window trim is chrome and bumpers and door handles are body-color. Like the Sportage, the Escape S comes with very few of the trim options its other models offer. Its 17” wheels are steel, with painted wheel covers. Door handles and bumpers are body-color. The Sportage takes a slight lead over the Escape in terms of standard convenience options, because of its standard bucket seats. Beyond that, their standard convenience features are relatively equal. Power windows, door locks and driver mirror, along with remote keyless entry and steering wheel controls, are some of the standard options on the Sportage LX FWD. The Escape S is standardly equipped with the same convenience options as the Sportage LX, with the previously mentioned exception of the bucket seats, which aren’t available. The Escape S does offer wireless cell hookup and AM/FM radio as standard options, however, while these are optional on the Sportage LX. The Sportage LX comes with a very complete airbag array, with airbag curtains covering the entire passenger compartment along both sides, as well as bags in the front. Three-point seat belts in the front and rear, with front seat pre-tensioners, complete the restraint system. As with other Kia models, the doors feature side-impact beams to further protect the driver and passengers. Four-wheel ABS, electronic stability control and brake assist are also standard on the Sportage. Its standard features also include brake assist, traction control, tire pressure monitoring system and a back-up camera. The Escape is equipped similarly to the Sportage, with a comprehensive complement of airbags and 3-point safety belts for all seating positions. It also sports 4-wheel ABS, electronic stability control and brake assist, as well as traction control, tire pressure monitoring and back-up camera. The Escape also features side-impact door beams. The Sportage LX is standardly equipped with cloth bucket seats and 17-step reclining rear seats (the driver’s seat is manually adjustable). Optional add-ons include heated front seats, 10-way power adjustable driver’s seat with lumbar support and special cloth seat trim. The Escape S has cloth bucket seats in front, with reclining rear seats, which include an arm-rest with cup-holders. The driver’s seat is manually adjustable, but the add-on options don’t include lumbar support. The Sportage LX is a front-wheel-drive, compact SUV, moved by a 2.4L (181HP) direct injection, 4-cylinder gasoline engine Its city/highway MPG estimate is 23/30 and it has a 16.4 gallon fuel tank. The Escape S, also a front-wheel-drive, compact SUV, is driven by a 2.5L (168HP) 4- cylinder gasoline engine. It is estimated to deliver 21/29 city/highway MPG and has a 15.7 gallon fuel tank. The Sportage LX is moved via a 6-speed Sportmatic transmission (with drive mode selection). The Escape S is also driven by a 6-speed, drive mode selectable automatic transmission. 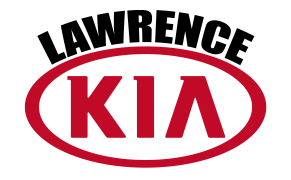 The basic warranty for the Sportage, like other Kia models, covers 5 years/60,000 miles, with a separate corrosion warranty providing coverage for 5 years/100,000 miles. The drivetrain is covered for 10 years/100,000 miles and roadside assistance is included for 5 years/60,000 miles. The Escape’s basic warranty protection is for 3 years/36,000 miles, with corrosion protection for 5 years/unlimited mileage. Its drivetrain is warranted for 5 years/60,000 miles and roadside assistance is included for 5 years/60,000 miles. Don’t decide before checking out both the Sportage LX FWD and the Escape S FWD. 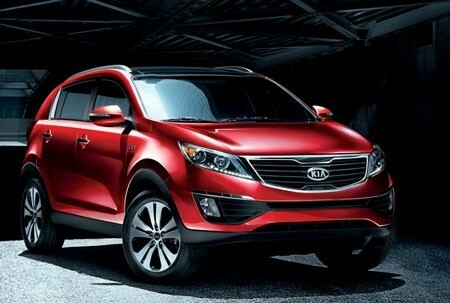 Browse new Kia Sportage One of our sales representatives will be pleased to arrange a test drive for you. After you’ve driven both, we’re certain you’ll find the performance and comfort of the Sportage will convince you to make Kia your choice.